Posted June 5, 2015 by Kelly McEvitt . If you’re on Pinterest, you’ve almost certainly found a product on the social network that you’ve wanted to buy. You probably clicked on the pin and then clicked to the site, in the hopes that you’d be taken to an actual product page. Sometimes it works out. And sometimes you land on an old blog article and discover the product has been discontinued. A new feature from Pinterest will soon make it a lot easier to purchase items that you find on the site. 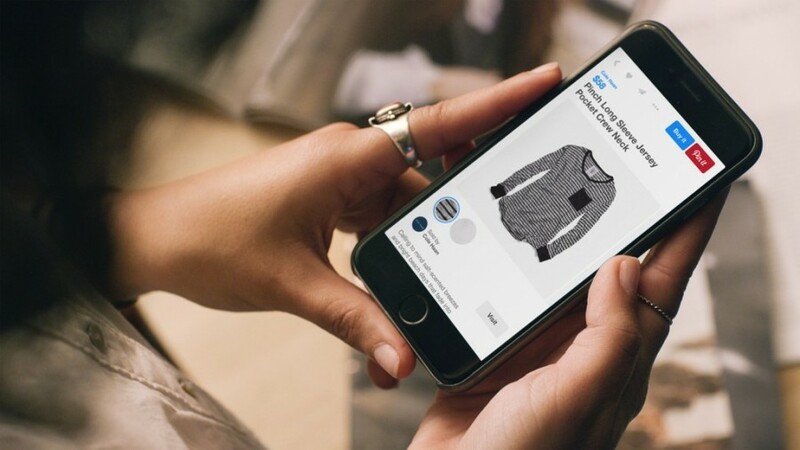 This week, Pinterest announced that they will be rolling out ‘Buyable Pins,’ a button allowing users to purchase items without ever having to leave the site. Buyable Pins will roll out to iOS users this month and will be available via Android and web later this year. A pin with a blue price will indicate that the item is available for purchase. After clicking on the pin, users will be able to select from different product styles/colors and purchase through the ‘Buy It’ button. Currently users can pay with Apple Pay or a credit card. Pinterest has made it known that they will not store your credit card information themselves. Instead they will be working with companies like Braintree and Apple to make the purchasing process easy and to protect people’s information. The platform isn’t currently charging brands to use the feature, however, It’s likely that Pinterest will explore retailer fees in the future. Pinterest has spent the past year focusing on monetization and it seems this feature is another attempt to bring advertisers to the site. If you’re seeking help with your Pinterest accounts, or are interested in creating an account for your business, contact us at (303) 703-8000. Connect with us on Facebook or Twitter if you have any questions!